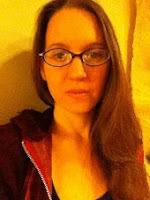 Congratulations to Anna Venishnick Shomsky for being a runner-up in the Winter 2012 Flash Fiction contest for her winning story, "The Seminar." If you haven't had a chance to read it yet, go here. Anna is a freelance writer currently living in Seattle, Washington. She holds an MATESOL (Master of Arts in Teaching English to Speakers of Other Languages) and has taught ESL in China, Germany, Boston, and Pittsburgh. While living in Pittsburgh, Anna wrote informational and promotional materials for a local art institution called Pittsburgh Filmmakers, as well as articles about art for the children’s section of the Pittsburgh Post-Gazette. She is currently staying at home with her infant daughter. WOW: Congratulations, Anna, on being a runner up! What gave you the idea for "The Seminar"? Anna: The story is compiled from events that happened while I was working at a public school. During my new teacher training, I was forced to sit through a seminar in which the rhyming method of behavior management was touted. I knew that it was inappropriate for me because I have a downbeat personality. It would also be inappropriate for the students I would be teaching, who were older than ten, jaded, and exposed to far better metered verse on the radio. Not long after the training, I had a small group of students who did what the students in the story do: flailed and yelled to get attention, flirted sadly, and worked with a minimum of effort. It was amusing to me that the advice I was given for how to deal with challenging students was so removed from the reality I inhabited. WOW: Do you write a lot of flash fiction? Why or why not? Anna: I don't write much flash fiction because I am too wordy. WOW: What do you find challenging about writing flash fiction? Anna: I find telling a story in under a thousand words to be challenging. I am accustomed to rambling on, adding clarifying information that is not entirely necessary, using descriptive sentences that contain an abundance of adjective clauses, and generally using too many words to state an idea that could be said well with fewer. WOW: You are currently staying home with your daughter. How do you balance your writing time with being a mommy? Anna: I take time to write while my daughter is napping. I try to write for half an hour three times a week. WOW: Do your ESL teaching experiences often make it into your writing? Why or why not? Anna: The teaching experiences that make it into my writing are usually the conflict between administration and teachers, the disparity between expectations and reality, and the residual emotional negativity from my time teaching middle school. I don't write much about my experiences with students, mainly because those have become mundane to me, and I have learned how to deal with the majority of classroom situations I find myself in. I write about things that are emotionally salient and ideas that nag at me. After a day of teaching, the actual time spent in the classroom and the interactions with students aren't what persist in my memory. WOW: What writing are you currently working on? Anna: I am writing an upbeat science fiction story about young women in a semi-dystopic future where humans have colonized the solar system and turned it into parking garages, fuel stations, and strip malls. WOW: Sounds cool! Thank you for your time, and we wish you the best of luck with your future projects!